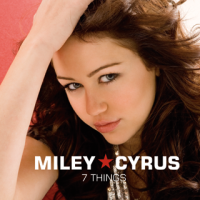 7 Things is Miley Cyrus' fourth single. 7 Things' promotional video was the most viewed music video in YouTube, until it was surpassed by Bad Romance. 7 Things' banner in DanceDanceRevolution DANCE WARS displays its alternate title, 7 Things I Hate About You.